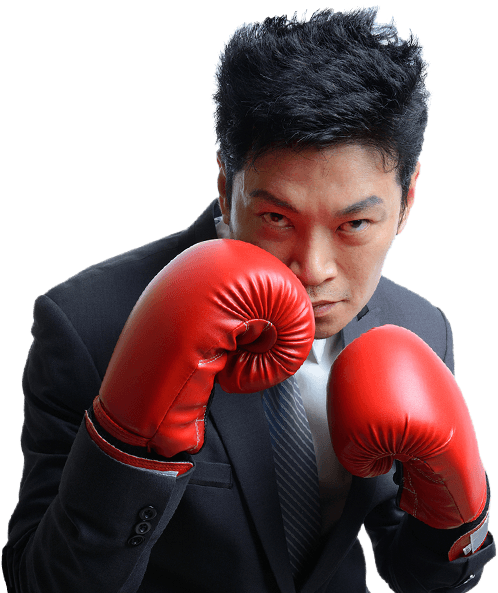 Car Dealer Websites & Lead Generation that stand out from the crowd. 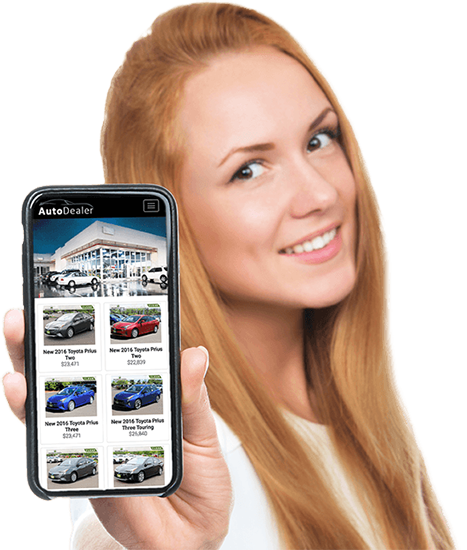 Responsive automotive website design to turn visits into sales. 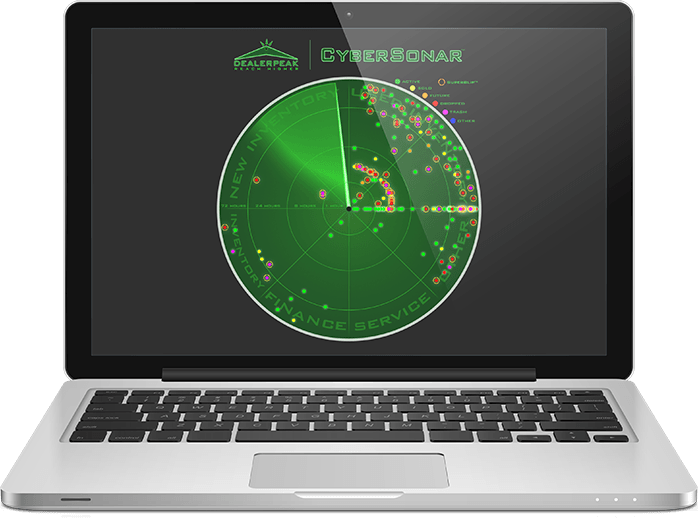 Robust website design and reporting tools. In 2017, upwards of 50% of your website traffic will be coming from mobile searches. 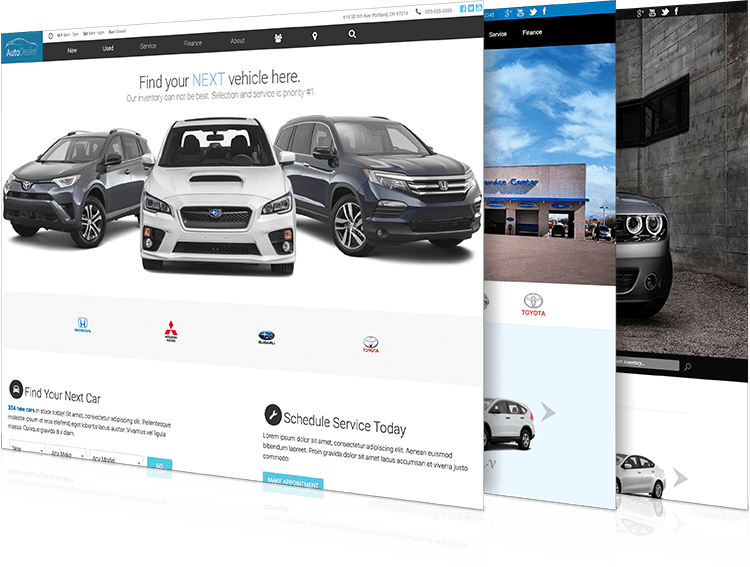 Be prepared with a responsive website design that also helps your dealership stand out from the crowd. Each brand is unique. Every website should be too. DealerPeak helps brings your culture to life with a powerful automotive website platform, combining unique design elements and calls to action for a great user experience, with reporting capabilities that go far beyond standard analytics. Our responsive automotive websites help drive more traffic, convert that traffic into selling opportunities, and measure how it's all working, so you know where to make adjustments. Capture online customers with a strong automotive website. Choose from a wide range of websites to meet your needs. We offer template designs that are easily customizable with your logo and brand colors, semi-custom sites that add personalization to already proven designs, and completely unique sites to suit any vision. Let our skilled designers help bring your brand and culture to life! Capture every selling opportunity possible with unique calls to action, even digital retailing tools to meet the demands of today's tech-savvy consumers who prefer to start the purchase process online. It's a modern approach that can pay off with more visitors, leads, and sales. Don't just stop with your conversion ratio. Our ROI tracking can tell you what happened to a customer after they submitted the lead, how much gross profit was made, and what was spent capturing that customer. It's the marketing Holy Grail: know the exact return on each marketing dollar spent. Put your website on top. Give visitors the best online experience with designs that look great on a phone, tablet, or desktop. Easily modify or add content as needed to ensure your website is always compelling and up-to-date. Choose to create distinct directory structures to support SEO best practices, and take SEO strategy and content in-house. Easily create the richly-detailed VDPs that are proven to move more vehicles. Keep visitors on your site with integrated research tools to help drive better buying decisions. Automatically populate social sites like facebook with dealership and inventory specials and news. Know what campaigns are working in real-time so you know what to do, or not do, in the future. Get exceptional support at the level you need - from basic services to proactive coaching. Display your inventory with OEM Cash, Finance & Lease incentives to highlight your best deals. A simple 3-step finance application delivers purchase-ready leads and shortens the in-store sales process. All DealerPeak websites are secured with their own SSL Certificate to ensure privacy and build trust in your brand. Make your website fast and furious with additional high-performance tools. These products will help you control and manage your online presence so you can expand your reach and sell more. Automatically promote your inventory anywhere and everywhere when you choose to add-on automatic external postings to third-party websites. 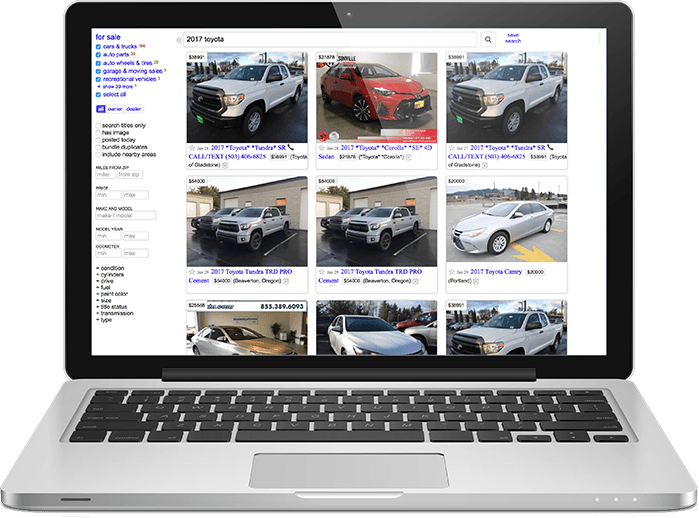 Increasingly, shoppers are searching sites like Craigslist and eBay Classified for vehicles - get your VDPs there and start selling more today. This game-changing tool allows you to view the activity of your customers as they surf your website, and gather valuable statistics like customer name, where they came from, what they're looking at, and their current status in your CRM (Customer Relationship Management). It's one-of-a-kind, lead-focused awareness that identifies actionable selling opportunities based on customer-specific website activity.